I am not a Halloween person. There, I said it. 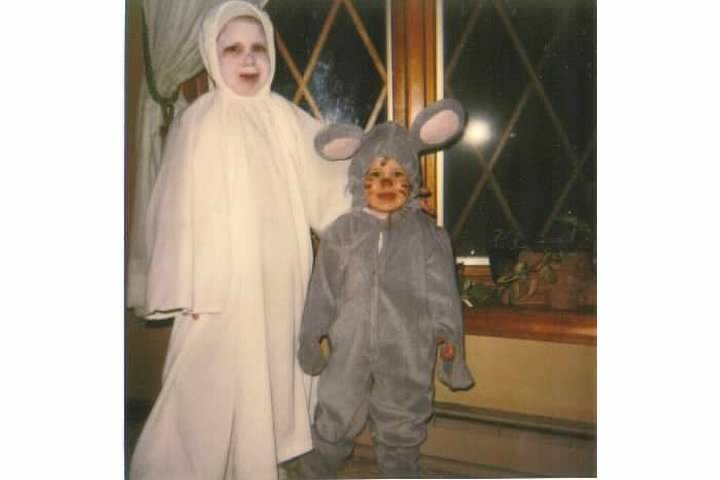 Growing up my mom did a great job of dressing us up but it was the act of trick or treating where we grew up that made it less appealing. Houses were miles apart. It was getting in and out of the car and then once we had all the candy we weren't allowed to eat it. Crazy if you ask younger me. Then, my older self never got into Halloween either. I had my fair share of costumes and dress up thanks to greek mixers and it was fun. Just Halloween doesn't get me all excited like everyone else. If someone threw a fun, let's dress up and make spooky punch party, I might be persuaded. Only time I was a cat for Halloween. Weird I know. But if I do get to dress up next year, it will be a cat of some sort. It's the normal thing to do right. I am not a fan of halloween at all!! I am so ready for the holiday season!! I don't really get in to Halloween either. I like decorating my house and passing out candy to trick or treaters, but I don't really get in to dressing up myself.